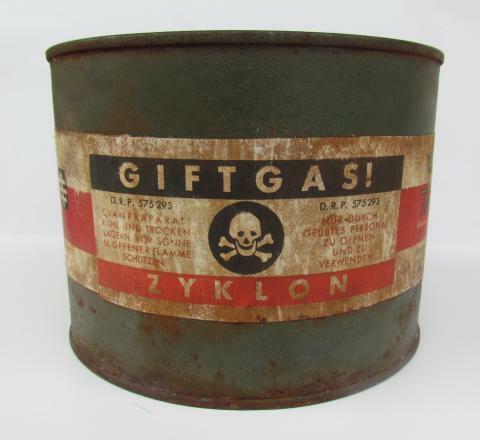 I became convinced that Jews were untrustworthy and prone to exaggeration long before I was convinced that the gas-chamber story -- the essence of the Holocaust -- was false. This was the article that convinced me. I found it convincing because it was clear and concise, and because I knew the author to be a conscientious truthteller, and also a scientist (a former professor of physics) who could vouch for the scientific claims made in the article. it contains. Hydrogen cyanide, in either its gaseous or liquid form, in contact with such brick slowly reacts with the iron oxide to form a complex iron-cyanide compound, ferric ferrocyanide (also known as ferric hexacyanoferrate), which goes by several common names, including Berlin blue, Paris blue, Hamburg blue, and, most commonly, Prussian blue. 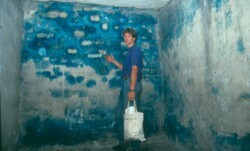 laboratory analyses of his scrapings revealed an extremely high concentration of cyanide (bound as Prussian blue) — more than one part per thousand — in the material from the wall of the Birkenau delousing chamber, but practically no cyanide in the material from the walls, floors, and ceilings of the rooms where literally millions of Jews are alleged to have been gassed. You really are amusing. I like to pop back here just to read the crap you spout out. Leuchter is a fraud. He never built a gas chamber, he never serviced one and he never designed on that was built. To this day Missouri does not have a gas chamber. Leuchter didn't know you need more ZB to kill lice and their eggs. He never studied any literature on the effects of ZB, nor did he study any of the documents at the Auschwitz Museum. The man who tested those fragments said later that the improper method was used to test these samples and that he would not have crushed the samples to find cyanide. Why did he use this method? Because Leuchter lied to him about the samples. Christ, Leuchter's been debunked so much he's an embarrassment to the denier community. I love it when he's brought up. I am aware that one section of the Leuchter Report contains some mistakes, but even Fritz Berg, a harsh critic of Leuchter, acknowledges that Leuchter had a point about the blue discoloration that is so obvious in the Birkenau delousing chamber and not apparent in the Kremas where people were supposedly gassed all day every day for years. None of Leuchter's mistakes affect the validity of this article, which was authored by a physicist.